Baublicious: I'm in a Podcast! And I'm CoHosting a Design Challenge and Blog Hop! I'm in a Podcast! 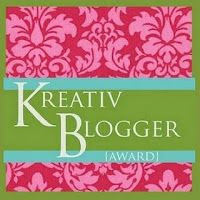 And I'm CoHosting a Design Challenge and Blog Hop! Mandi Ainsworth over at Bead Circle contacted me earlier this month to see if I'd be willing to do a podcast interview about freeform peyote beading, my work and my design process. I was stunned and tickled by the invitation and promptly said 'Yes!' Then immediately started wondering what I'd gotten myself into. Some of her other podcast interviews have included interviews with Marcia DeCoster and Jean Campbell; hard acts to follow! Today's the day it goes live! I haven't actually heard it yet (since I'm really writing this post on Tuesday, set to launch Wednesday morning while I'm sound asleep) and I'm more than a little nervous and a lot excited. We had such a great time talking, and Mandi promised to edit out my horrendous flubs. Yeah for editing! Thank you Mandi!!! While we were setting up the interview, one of us commented 'wouldn't it be fun to do a Freeform Peyote Challenge and Blog Hop'. That's something I've drempt of doing for ages now, but never quite felt like it was the right time. But now the time has come! Email Mandi or myself including your name, email address and blog URL. Or leave a comment with your email address on this post, telling me you'd like to join in. 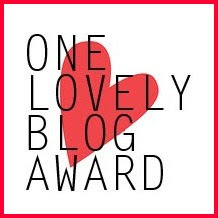 If you don't have a blog but would like to participate, let me know - as long as you can email me photos and text, I'll make sure you're included in the hop. Mandi and I will compile a list of participants to include in our posts for the reveal date, and also keep you informed of any changes or special happenings. Everyone is invited to join in, whatever your familiarity or skill level with freeform peyote. The goal here is to challenge yourself and choose your own adventure. On the reveal day, post a photo (or photos) of what you made and include a paragraph or two about your piece. If this is your first time working with freeform peyote, tell us about your experience. 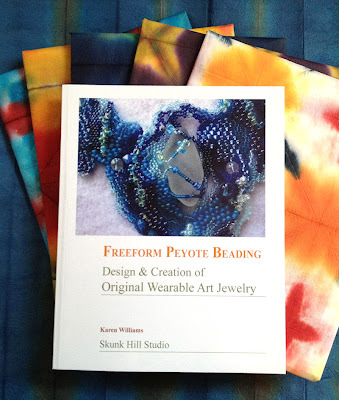 Planning for this challenge, I started a new group on Facebook: Freeform Peyote Beading that is already turning into a wonderful source of inspiration. To join, you'll need to send me a request through Facebook and I'll happily add you in. And I've launched a new Freeform Peyote Beading Facebook Page where all you have to do is hit 'Like' and it's added to your Newsfeed stream. I'll also post a series of links to additional resources later this month. What's a party without party favors? Leave a comment on Mandi's blog telling us what excites (or frightens) you most about freeform peyote for a chance to win a copy of my book on freeform peyote. If you already own a copy of my book, share what you like most about it and if your name is drawn, I'll send you something else of equivalent value, likely a bead soup for freeform peyote. Congratulations on the interview. You sound thrilled! I am happy for you. I know the blog hop will be a success. I will not be joining as I can never make beaded deadlines. In addition, as of yesterday I am planning a 450 mile move in the next 3 or 4 weeks and then 2 months of away training to follow. I am going to be busy. Woohoo for you on the podcast! I can't wait to have a chance to sit down and listen! And um, HECK YEAH, I want to be part of the blog hop! Now that I'm past my self-imposed hop break (sounds either like a new dance or a dancing injury...), this will be great fun. I'll have to pull your wonderful book out and review some of your inspirational tips, and then hunker down to get going. This is going to be such fun, I'm about ready to jump up and dance. I just e-mailed about joining the freeform challenge and I am so excited to have the motivation to focus on creating a freeform design. I've started purchasing some borosilicate pendants from Ian Graber that I've been hoarding, waiting to turn into the perfect necklace. This is their time! I will admit to nervousness, too, because the little freeform peyote I've done has been really small scale; this will be my first large scale project. We'll see how it goes! So glad you decided to join in! Sounds like this challenge was just the excuse you needed to take the next step. I'll admit I am almost always nervous at the start of a new project. Who am I kidding; get rid of the almost. But I have it on good authority from reading lots of book about Creativity that we're not alone with that. I haven't figured out quite what I'm doing yet myself - have a couple of ideas I'm toying with. Hi Karen - congrats on the podcast! Will have to check it out. 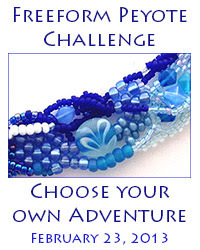 I would love to join the challenge and hope I am able to get back into bead weaving again. This will be the boost I have been needing. Thanks for doing this! Oh wow, I just started a free-form piece that is a disaster! I need help! 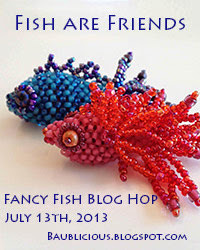 please enroll me in the blog hop, I need to get over my fear of free-form! Mandy - I'm not sure I have a current email for you (your profile isn't linked to an email address, but I found an old email from you in my inbox), so if you haven't heard from me, let me know. But you are definitely in! I would love to be included - I haven't done any freeform in awhile and I enjoy it so this is a good excuse to jump back in and get going. 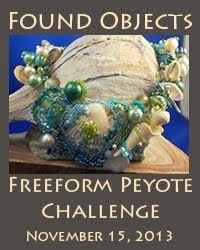 Ohhh, a freeform peyote blog hop!!!! Count me in. I'm Sarahsequins (at) yahoo (dot) com. I have a lovely jar of bead soup I've been adding to for a year or so that would be just right for a freeform creation. Ok I will give it a try please sign me up. ok, this could be a complete disaster ... but I'm going to give this a try. I've never done freeform before and it scares the pants off me. But hey nothing ventured, nothing gained. Karen! 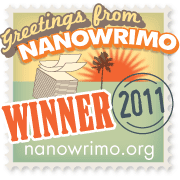 I stopped by to comment on this weeks prompt and saw the badge on the side bar. Look at you with a Podcast and all!! Whoot!! Good for you!! How exciting!! Please sign me up for the hop!!! Definitely want in!!! I would love to join in. I have just sent an email. I would like to join. Alehman3@comcast.net. I'll start making my first ever freeform peyote asap. I missed the deadline to join but I am ecstatic to have found your blog, and I am your newest follower. I'll keep coming back to see what happens with the challenge.